I'm so excited! 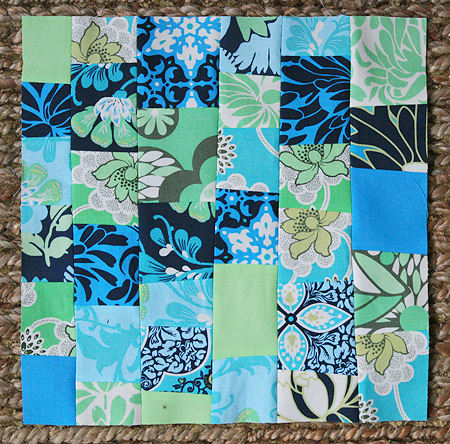 February is my month in the Sew New to Me Virtual Quilting Bee. After a lot of going back and forth as to what type of block I wanted everyone to make, I settled on the Map of the States blocks, ala Oh Fransson. I've always thought these blocks were so cool, but I wasn't sure I had it in me to make an entire quilt out of them. 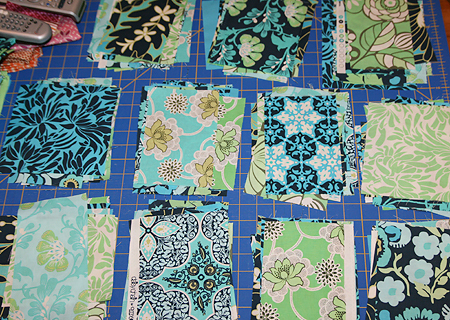 As I started to cut into my fabric and organize piles for everyone, I started getting really excited. 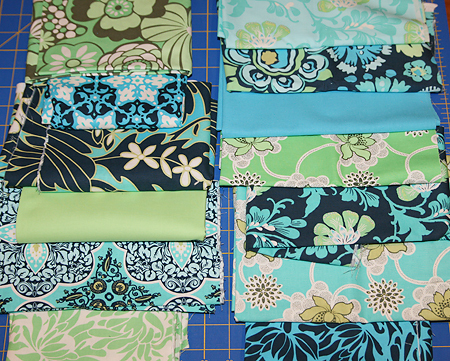 I decided to send everyone fabric from Amy Butler's Daisy Chain line, as well as a couple solids. I had been saving the fabric for something special and I think this counts. I wasn't really sure how much to send, so I made my block for the month to test my piles. I ended up having enough, but just barely, so I threw more in for good measure. I'll be posting the blocks I receive as they arrive. My month doesn't officially begin for a few more days, but I know there's one block already on it's way to me! Sew New to Me VQB : First Block Received and the "Vision"